Spoiler alert: yours probably isn’t. “Seller and agent do not warrant retrofit” is something you’ll often see in the listing of a home with basement apartment. Why do we say that? 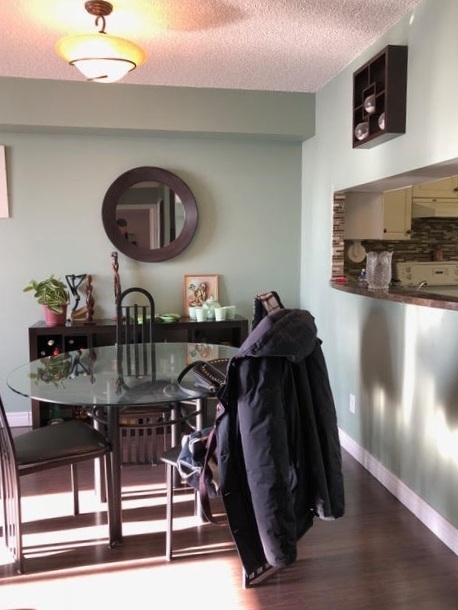 It’s hard for Toronto real estate agents to know with 100% certainty that a home’s basement apartment was constructed in accordance with all the local fire codes, building codes, electrical safety authority regulations and zoning rules. Nearly 80% of Toronto’s basement apartments aren’t actually legal! Does a home with a legal basement apartment have a higher reseale value than a home with an illegal one? The Toronto Realty Blog has a great analogy to answer that question: Imagine a semi-detached home with an illegal basement apartment was for sale for $1,200,000, and the exact same home next door was worth $1,300,000 with a legal apartment. Each home’s basement apartment can command $1,800 a month in rent. Would you pay the extra $100,000 to buy the home with the legal apartment?” It seems many Torontonians say no. The first step to seeing if your home can have a legal basement apartment is to make sure basement apartments are allowed in your neighbourhood. You can do so by checking this Toronto zoning map. Houses must also be at least 5 years old to house a legal basement apartment. In Toronto, property owners are required to maintain their property according to the city’s Property Standards Bylaw. The Bylaw includes things like like room size minimums, pests and snow removal. To comply with Fire Code requirements the entire home has to have good “fire containment”. Typically there needs to be a 30-minute separation between the units so if a fire starts in the lower unit it will take longer than 30 minutes to spread to the upper unit. The home also needs to have good “means of egress” which refers to tenants being able to exit the building easily. Ideally each unit should have its own exit. Finally, all units must have smoke and carbon monoxide alarms and pass an inspection from the Electrical Safety Authority. To add a basement apartment you need to apply for a Building Permit before construction begins and pass an inspection at the end. Building Code rules for basement apartments include things like: basement ceiling height must be at least 6 feet 5 inches, the entrance door needs to be at least 32 inches by 78 inches, every bathroom needs a window or an exhaust fan, and the basement unit can’t be larger than the main unit — to name a few. Find a more complete list here. Once the basement unit complies with Neighbourhood Zoning Rules, has passed the fire and electrical inspections, is registered with Municipal Property Standards and meets Building Code requirements a Certificate of Compliance will be issued by the City of Toronto. Think of this like you’re golden ticket — it’s something only 20% of basement apartment owners in Toronto actually have! One of the city’s top laneway house experts tells all! You may be able to picture what laneway houses look like (cue visions of tiny home shows on HGTV ) but when it comes to things like: what are the rules, how much of your property can the laneway house occupy, and which lots qualify, it can get a bit confusing. Toronto realtor Andrew Dunn asked Tony Cunha of city firm Lanescape — a company that offers customizable, modular designs that comply with the City of Toronto’s as-of right zoning approvals — for the lowdown on laneway houses. ANDREW DUNN: Can you explain what a laneway house is to our readers? Do people have to own the main house on the property or can laneway houses be sold separately? TONY CUNHA: Laneway suites are secondary dwellings constructed behind traditional street-facing homes on lots abutting a public laneway. Laneway suites increase the quality of affordable rental housing, intensify existing neighbourhoods, utilize existing infrastructure and animate underutilized urban space. Laneway suites are generally non-severable, as they share services with the main house, however in some special circumstances, it is possible to sever the property through a lengthy and cost-intensive process with the Committee of Adjustment. AD: How can people know if their property is eligible for an as-of-right Laneway Suite? AD: How does a laneway house compare to a coach house built in someone's backyard? TC: A laneway house contrasts a coach house (aka garden suite), in that a laneway house abuts a lane, and can also rely on the laneway to provide emergency service access. Laneway houses must not exceed 30% of your lot area. Garden suites are not currently permitted in Toronto due to a variety of factors, but can be achieved through a lengthy process of permissions granted by the Committee of Adjustment. We believe the Changing Lanes policy is one step closer to a larger policy encompassing garden suites as well. AD: What has the response been like to laneway houses in Toronto? Are neighbourhoods generally accepting of laneway houses or are homeowners facing pushback from their neighbours? TC: Generally speaking the community response in Toronto has been overwhelmingly positive! The community groups, clients and professionals we interact with on a daily basis are incredibly supportive and see this new policy as a major step in the right direction toward conquering our current housing shortage and increasing affordable, unique and flexible housing options in our city’s underutilized low-rise neighbourhoods. AD: How long does the process generally take from planning to finished product? TC: We suggest accounting for a 10-12 month complete process of design, approvals and construction. As with any construction project, this can widely vary not only based on existing site conditions and nature of the construction, but also on the necessary approvals required, and weather/seasonal conditions. AD: Is a laneway house grouped into a homeowner’s existing mortgage or do you get a separate mortgage for it? TC: Financing the construction of a laneway suite is dependent on the scenario and homeowner. Typically, construction is funded by a mortgage or line of credit secured against the property’s equity. This is typical of homeowners whom purchased the property in the 90’s or early 2000’s and have benefited from huge increases in property value. Beyond this, project funding really is on a case-by-case basis. AD: What can a laneway house in Toronto command in rent? TC: Rental rates are of course dependent on size, location and quality of the laneway suite. An interesting factor to consider is the premium in which a detached, above ground, autonomous unit would command versus a traditional ‘shoe-box’ condo or basement apartment. We expect laneway suites will be held in very high regard amongst renters in the city and will appeal to a wide demographic of young families and recent empty-nesters. We’re excited to see how the rental numbers work out once the dust settles on construction and there are an ample supply of these suites across the city. AD: How does having a laneway house affect your home insurance? TC: Laneway suites are insured like any type of a secondary unit similar to a basement apartment. They will increase your premium, often proportionally to the square footage added. We recommend your laneway suite’s renter carry tenant/contents insurance. Find answers to other Frequently Asked Questions on Lanescape’s FAQ page. If there’s one thing Toronto realtor Andrew Dunn always recommends his clients do, it’s stage their properties. Whether you’re a minimalist or a maximalist, having a professional third party come in — like Andrew does with designer Joel Bray — is money well spent. Designers and stagers know how to give potential buyers what they want, be it paring back on excess clutter, swapping in a few stylish accessories or refreshing a space with paint. What’s sparking joy got to do with real estate? Unless you’ve been hiding under a rock, away from the glow of your Netflix account, chances are you’ve heard about the new show Tidying Up with Marie Kondo. The Netflix hit follows Marie Kondo the almighty organizer as she helps people purge their excess clutter to improve their lives. Marie asks the question “does it spark joy?” as a way of helping people decide whether to keep or toss an item. So, what’s sparking joy got to do with real estate? Well, if you’re thinking of listing, a home equipped for optimal organization is a definite plus. 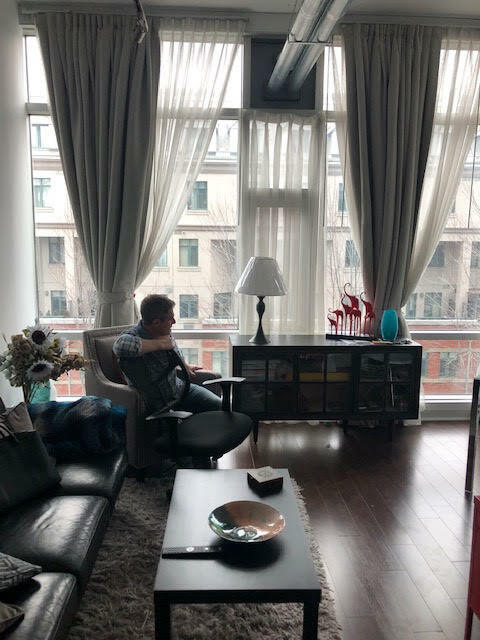 In fact, just like how a wild paint colour can temporarily halt buyers in their tracks (we’ve all seen it happen on House Hunters — check out this video to see what I mean), a cluttered home is a real estate turnoff. 1. Install a built-in closet system. Your system doesn’t have to be expensive but trust me, everyone opens the closet doors when touring a house and an organized closet is an instant win in real estate. 2. Ensure your kitchen has a mix of storage. Designers and Toronto real estate agents agree that having a combination of deep drawers, a floating shelf or two for display, and an island or peninsula with storage is essential. 3. Channel zen vibes in your bedroom. Just like staying in a tranquil hotel room, having a clutter-free bedroom with calming colours and minimal distractions will make prospective buyers want to wake up there too. 4. Clean up your bathroom. Aside for the obvious cleaning that should be done, consider picking up an attractive storage caddy to hold your toothbrushes, and keep personal products off your counters — no one wants to see your prescriptions let alone your dirty towels! 5. Leave the living room for living. Common spaces like living rooms often become dumping grounds for everything from kids’ toys to office supplies. While it’s hard to keep rooms like these tidy all the time, having a place to tuck computer cords, remotes and toys helps give the illusion of order in the home. Let the joy sparks fly! - Andrew Dunn, Toronto real estate agent. It’s no secret that celebrity status goes a long way when selling your home — just ask Oprah’s design darling Nate Berkus and his partner, designer Jeremiah Brent. 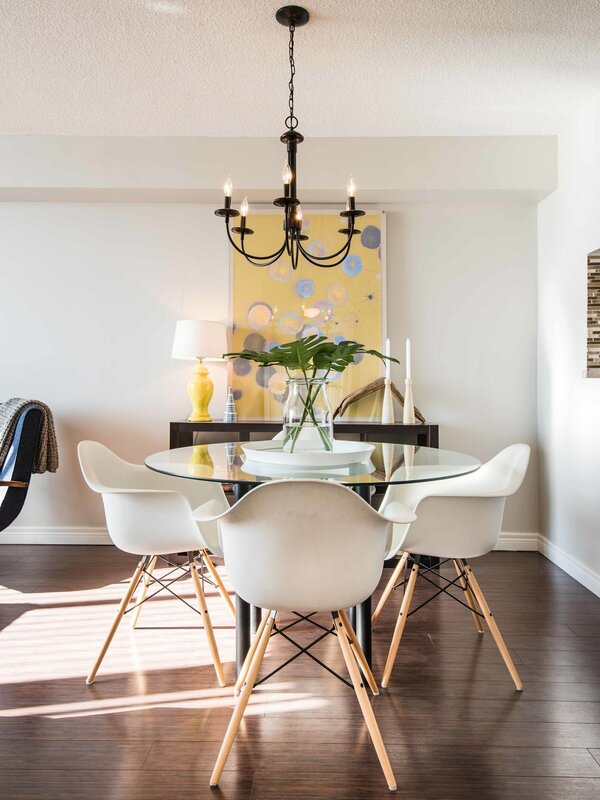 If you’re looking to list your condo or home this spring here are 5 Nate and Jeremiah–approved staging ideas to help you sell yours. Even in a small space like a condo there are things you can do to make your entry more inviting for guests (and yourself!). Take inspiration from Nate and Jeremiah’s impressive entry and add a small table or a wall-mounted shelf for keys and mail. Include a mirror for checking your reflection before leaving the house, too. 2. Leave out a few aspirational personal belongings. While your condo or house should be free of excess clutter and overly personal items like toothbrushes and family photos, a few coffee table books with pedigree can appeal to prospective buyers. Make your future buyer think that buying your condo or house will allow him or her to live the kind of life they’ve always wanted to — fancy books and all! 3. Remember that white walls are never a bad idea. You’ve probably heard it time and time again, but this is for good reason! White walls can make everything look like a million bucks. Painting your home in a neutral colour like white sets the perfect blank canvas for future buyers. My partner, designer Joel Bray, recommends Oxford White or Cloud White by Benjamin Moore. 4. Mix a bit of black into every room. Designers like Nate Berkus and Jeremiah Brent are known for mixing at least a little bit of black into every room. It offers a nice balance against all that white we talked about earlier. You’ll also notice Nate and Jeremiah left a few carefully styled household items out in their kitchen. A collection of artisanal wooden spoons placed in a nice vessel offers the perfect lived in yet magazine worthy aesthetic. 5. 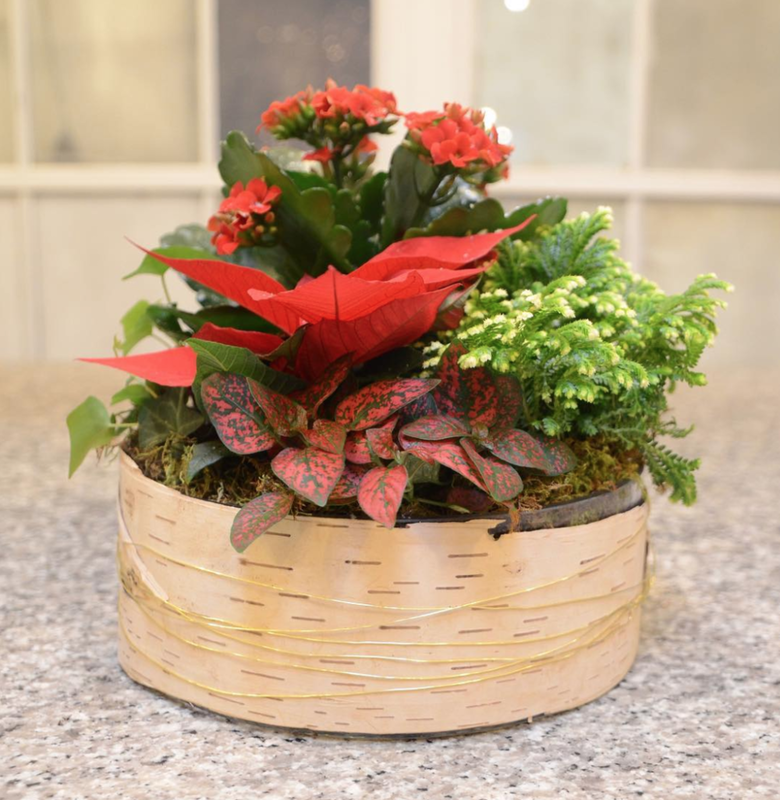 Skip short-lived flowers and go for greenery instead. Stagers often bring in flowers to breathe life into a space. But, as you probably know, flowers only last a few days. In the chance your home is on the market for longer than that, you’re better off displaying greenery like olive branches or seeded eucalyptus in a vase. Greenery gives you way more bang for your buck. Plus 2 More Shops Just Outside the City! The hectic holiday shopping season can mean a whole lot of fa la la la last-minute trips to the mall. Rather than battling the crowds at Yorkdale, the Eaton Centre or Sherway Gardens, be inspired to #ShopLocal (or local-ish) this year. 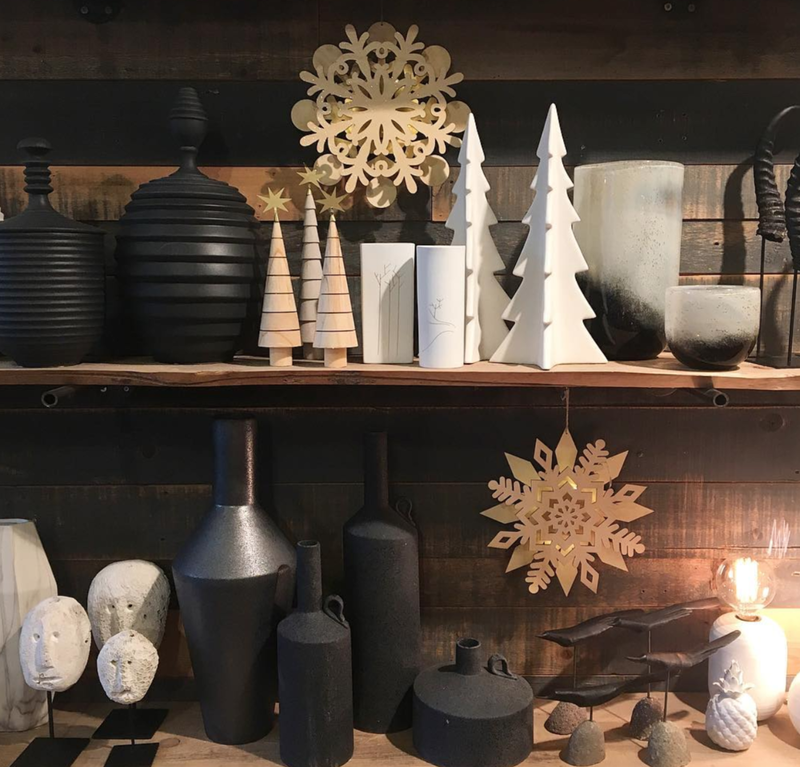 Last week BlogTO released a stellar roundup of The Top 10 New Stores for Holiday Shopping in Toronto, each with their own array of gotta-have-em goodies. If you don’t want to drop the ball on a New Years Eve party gift Sugarfina’s Dom Perignon–spiked gummy bears will leave your host buzzing. And, if you’re trying to find a cheap and cheerful stocking stuffer for your weird Uncle Al, there’s a dollar store for that (yes, a dollar store!) called Miniso. I’m not going to lie, this one is located in the Eaton Centre, but the savings are worth sacrificing your sanity for an hour or so. My fellow East Enders will be pleased to hear that the popular Roncesvalles shop Scout has a second home on Queen Street East in Leslieville. 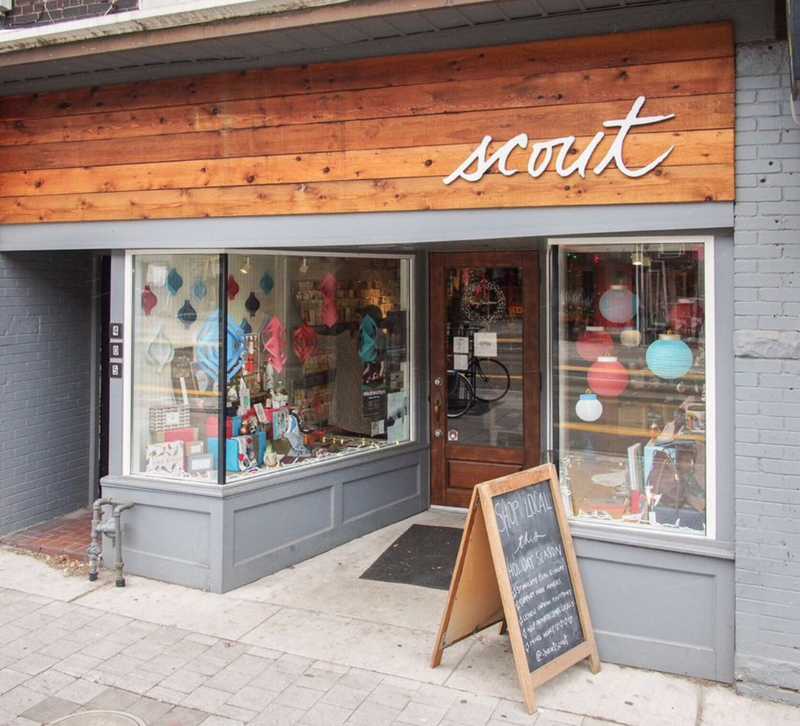 This new location opened just last month, and as BlogTO’s noted, Scout is “pretty much a one-stop shop for all things festive.” Scout has a great selection of handmade, Canadian and independent artisan–made items like quirky cards and cool coasters. 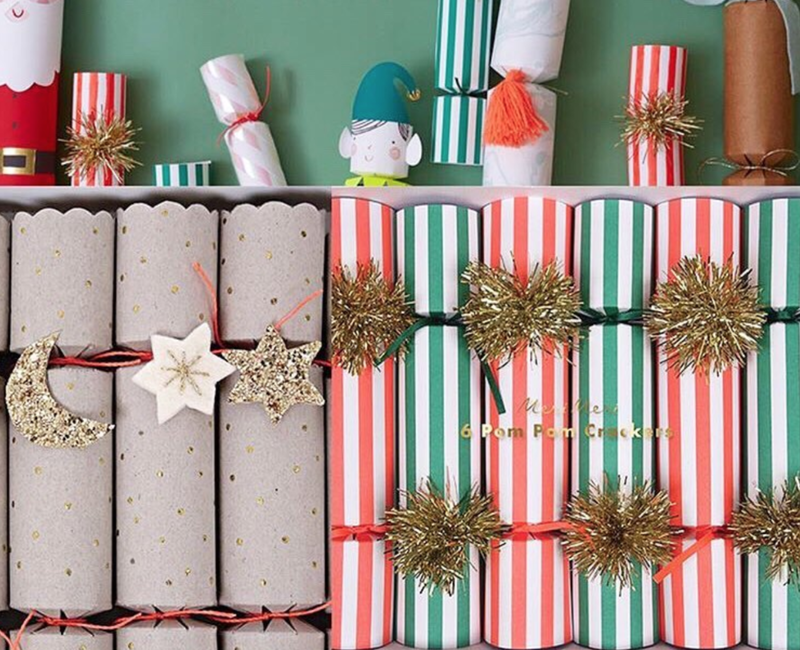 Artisanal candleholders, felted stockings, tartan slippers, Wills & Prior has thought about everything you could ever wish to give (or get for yourself!) and more. 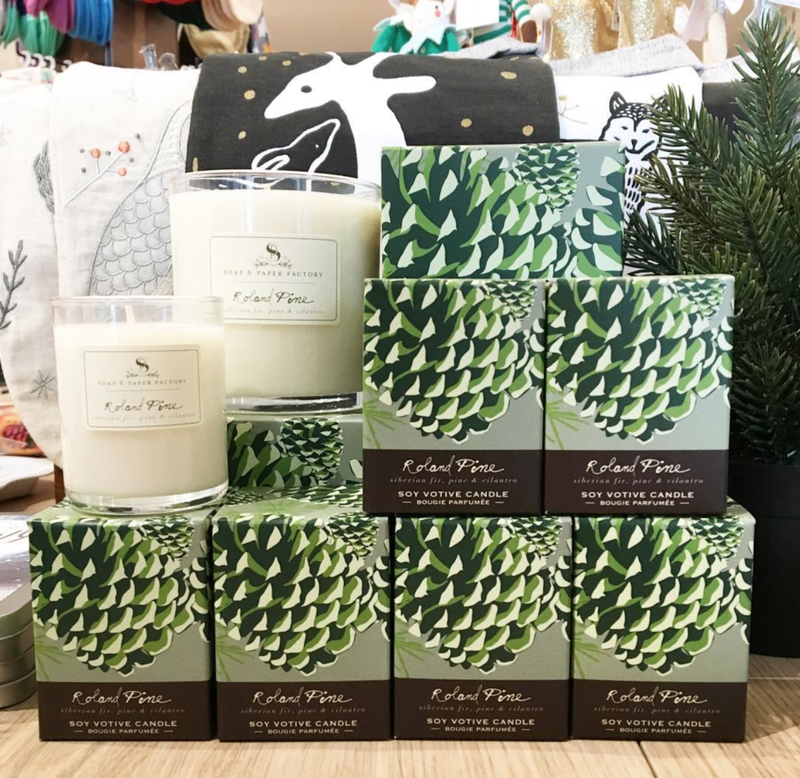 Located in the quaint town of Stratford this is a nice excuse to road trip out of the city to snag a few prezzies and snap a selfie next to the Avon River. If it’s been a few years since you’ve hopped over to Burlington, we’d highly suggest making a day of it. There are cute coffee shops (Tamp), vegan bakeries (Kelly’s Bake Shoppe) and great pizza places (Son of a Peach) all worth a try. Once you’re caffeinated and have a belly full of grub, take a stroll to Centro Garden for beautiful potted arrangements, mercury glass candles, artisanal cocktail accoutrements and so much more. Which Of Toronto’s 100 Best Restaurants Have The Best Interior Design? You eat with your eyes after all. ANDREW DUNN: Toronto Life’s 100 Best Restaurants list was released last week which means that many of us (myself included) have a new list of must-try eateries. Clear your calendars, people! As a real estate agent, I’m always paying attention to what great restaurants each neighbourhood in Toronto has to offer. There were a number of heavy-hitters featured, like King West’s Jacobs & Co. Steakhouse and St Clair West’s glitzy Scaramouche — which has boasted arguably one of the best views of the city since the ‘80s — but there were a few surprises, too. Who knew there was sushi spot with a $190 tasting menu hiding in a strip mall in Etobicoke? Sushi Kaji is number three on Toronto Life’s list. The roundup covers everything from the best spots for late-night drinks (Bar Isabel and Pinky’s Ca Phe) to casual sunday brunch hideaways (Edulis and Takht-e-Tavoos). Wynona is only open Wednesdays to Sundays. Why? Because they can. Nestled on Gerrard between East Chinatown and Pape this spot delivers Mediterranean flavours in spades. Head chef Jeff Bovis shouldn’t just be praised for his killer branzino imported from Greece (below). He’s also responsible for Wynona’s killer decor — think Danish-looking chairs with the perfect rounded backs and banquettes made of blonde wood from Hamilton, Ontario’s own Barnboardstore. If A+ interior design and plenty of pescatarian options don’t put you in the mood, Wynona’s ever-changing wine list should. Skin-contact grenache rosé anyone? Alo is tucked a stone’s throw away from the hustle and bustle of Queen & Spadina, and while it’s close to Toronto’s famous Graffiti Alley, there’s nar a sign of street art inside the joint. Instead, you take an elevator up to the third floor and find yourself in a contemporary restaurant-meets-cocktail bar that feels plucked straight out of France. Delicate brass pendant lights are suspended from the ceiling and greige banquette upholstery is punctuated by pale blue dining chairs. Black frames around the historic building’s windows beckon you to look outside — when you’re not checking your reflection in the smoked glass mirrors that is. Remember those Raspberry Point oysters I mentioned earlier? 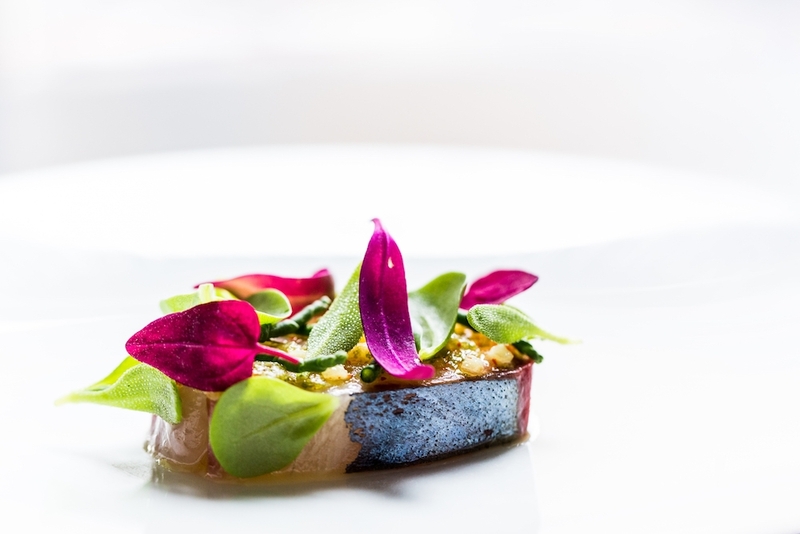 You can find them here amongst Alo’s chic 10 course menu. Apparently there’s a hidden bathroom, too. I’m probably not the first to make the “a restaurant so nice they named it twice” joke but it warrants repeating here. As a real estate agent I know it’s not uncommon for restaurants to come and go in a competitive “foodie” city like Toronto. In the case of Chef Victor Barry, he said sayonara to his Splendido restaurant to make way for Piano Piano. Designer Tiffany Pratt is known for using bright colours and this project was no exception. Piano Piano’s exterior boasts a pink rose and peony mural by Toronto artist Ryan Dineen. The abstract artwork inside the restaurant, however, was done by a more pint-sized Picasso: Chef Victor’s daughter Charlotte (who was only two at the time!). Piano Piano’s name is short for piano piano va lontano which means “slowly, slowly one goes further” in Italian. Hey, when the menu is a newspaper and the charcuterie board is a gleaming silver platter you’re going to want to take your time here. Welcome to my February email newsletter! The sales statistics for January have arrived and they paint an interesting picture. Detached home prices in Toronto have stumbled 4% year-over-year. That being said, every other sector's prices have increased in January. Condos lead the way with a 15% increase year-over-year with an almost 2% increase in January alone. The amount of listings to date in 2018 has been minimal, the second lowest for January in 10 years. I believe this lack of inventory will eventually give way to an upward trend in prices lead by the city's continually hot condo market. Click here for the Toronto Real Estate Board numbers and scroll down for a piece from the CBC on the market. If you are planning on buying or selling in the coming months or have questions about the market, please get in touch! Have you scratched your head and asked yourself recently "how could the Toronto housing market climb any higher any faster?" The chief economist at the National Bank recently gave some critical facts backing up his belief that the Toronto and Vancouver housing prices are in fact warranted. 1) The working age population (20-44 years old) is growing 70% faster in Toronto and Vancouver than the rest of the country – wouldn't we all like to retire at 45! 2) Employment rates increased by 5.5% in Toronto and 4.4% in Vancouver in 2015 while nationwide job growth was a mere 0.9%. Home prices in Vancouver increased 22% year over year in February and 15% in Toronto. It is possible that these increases are to compensate for the fact that we were undervalued for years prior. GTA housing prices soar in February, despite new mortgage rules. The Toronto Real Estate board announced Thursday that February continued to break home sale records across the GTA. The number of transactions this Feb. compared to 2015 was up a whopping 21.1% bringing the Home Price Index up 11.3% over last year. There is an obvious shortened supply of houses in the GTA and an increasing demand which will continue to drive prices up. A quote from the Toronto Real Estate Board president Mark McLean recently, "Don't wait to buy, buy and wait". It has taken some time, but the east side of the city will really take flight in the next few years. The old Jilly's (Queen and Broadview) is transforming into the Broadview Hotel thanks to Streetcar Developments and should set the stage for the Riverside phases soon to follow. The Canary district and Corktown both will see a large increase in population with the Pan Am Games units being occupied and new towers respectively. Plans are in the works for the old Unilever plant at the base of the DVP to develop into a massive mixed commercial/residential project as well as a transportation hub for the growing east end. It was only a matter of time. Give it a few years and the east sure looks like an even better great place to live and work and invest! The Toronto Star is reporting this morning that the required down payment on a home of $500,000 or more will rise from 5% to 10% in February of 2016. The aim is to temper the hot Toronto and Vancouver housing market. Make note the 10% down payment will only apply to the portion above 500,000 which means the total down payment on a 1 million dollar home will be 7.5%. This will take effect February 15th. Personally, I'm not sure this will stop anyone in this price bracket but we will see! Just how quickly does the Toronto real estate market move? Hells Angels' Leslieville hideout is about to hit the market! Just when you thought you had seen it all in the Toronto real estate market!! According to BlogTO the bunker for the famous biker gang will hit the market in a few months and fetch close to 700k. Who has the vision to turn this into their home, any takers?? Gord Downie's House Sells in Riverdale! I couldn't resist! A friend of mine told me a while back that Gord Downie, lead singer of the Tragically Hip, lived in Riverdale. Only a few short blocks from his house Gord was spotted at local watering holes like Allen's. Downie is a true Canadian celebrity in every sense of the word and it is always interesting to have a peak into his life beyond music. Here's a look at his family's home and their sale that took a few more months than he would have hoped! Toronto Life's 2015 Neighbourhood Rankings are in! Toronto Life ranks Yonge and Eglinton as Toronto's best neighbourhood to live. This has hipsters everywhere scratching their heads but it seems Yonge and Eg checks off all of the necessary boxes. Good schools, healthy living and high income brackets add to an impressive 11% growth in property values over the last year. Check out the rest of the article to see how your neighbourhood ranks.